So continuing from part -1 . This part has more waterfalls . After a good overnight nap ,we took the blessing of Goddess Marikamba at Marikamba Temple , Sirsi . 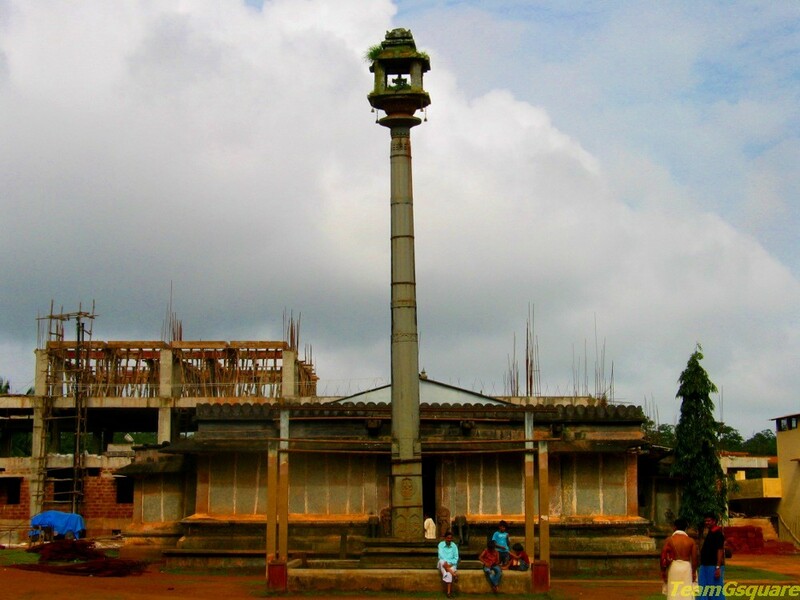 Very famous temple built during 17th century .We went to another religious place nearby Sirsi is Sahasaralinga (Meaning Hundreds of Lingas) a really nice place . From here we went to Sonda which is famous for its Sode Vadhiraja Mutt . 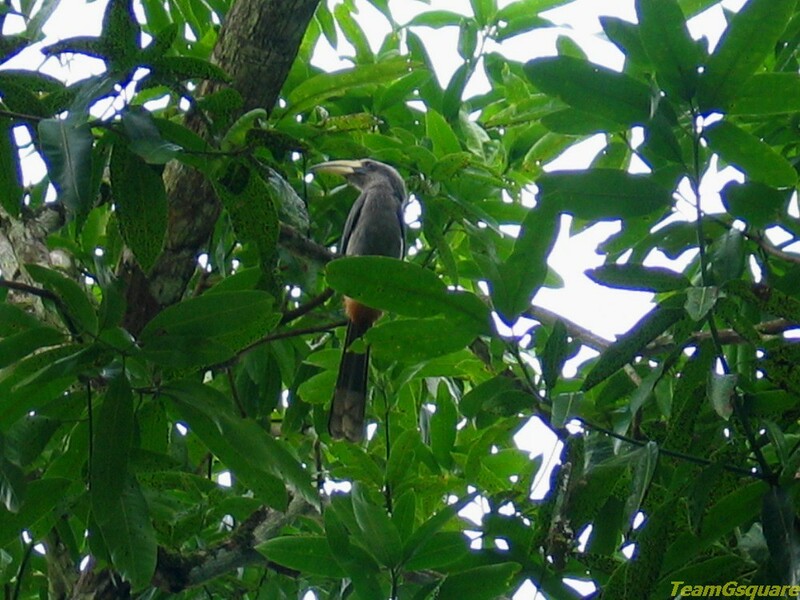 Sonda has so many different kind of places which one can explore . All these places are off Sirsi - Yellapur Highway. From here Begins the waterfalls saga . 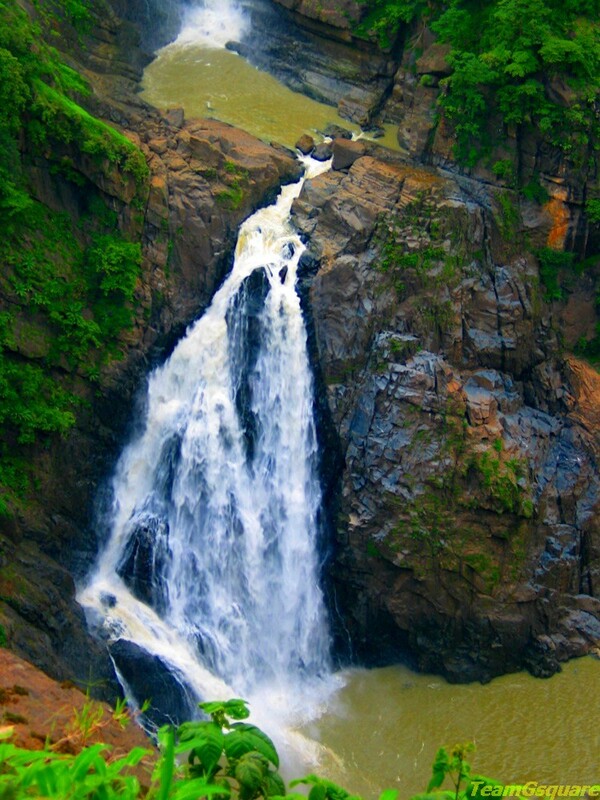 Shivaganga Waterfalls:The Shivaganga waterfalls is a 74 m high waterfall on the river Sonda .This is about 34 km away from the town of Sirsi. 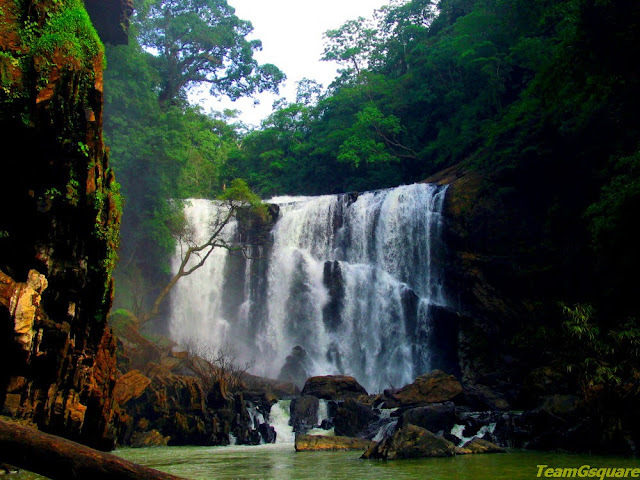 This waterfall is located in thick forested area. 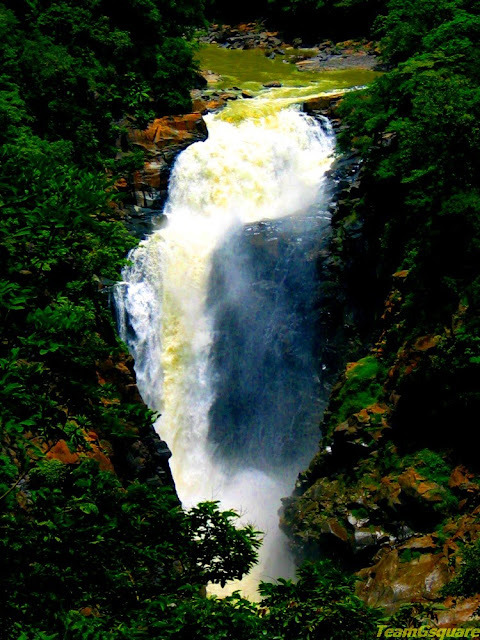 From Sirsi one directly go to Shivaganga waterfalls via Vanahalli . 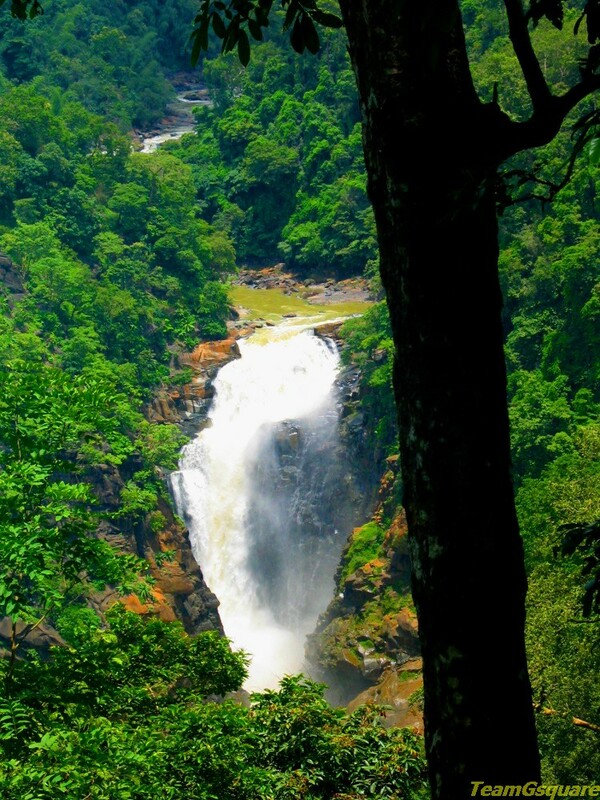 From here we went to another waterfalls famously called as "Mini Niagara of Uttara Kannada"
Sathodi Waterfalls : Sathodi Waterfalls is a waterfall in Uttara Kannada, that is formed by several unnamed streams near Kallaramarane Ghat, 32 km from Yellapur . It is about 15 meters (49.2 feet) tall. 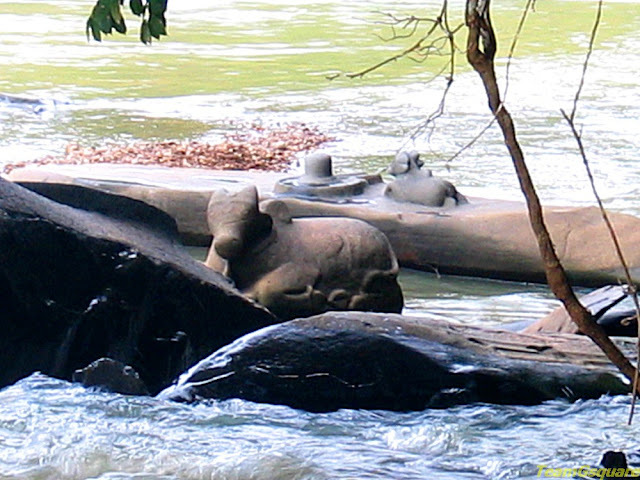 The stream then flows into the backwaters of the Kodasalli Dam, into the Kali river. One need to walk for about 2 km to reach the waterfalls. Last Waterfalls of the trip. This the mighty waterfalls of Magod. 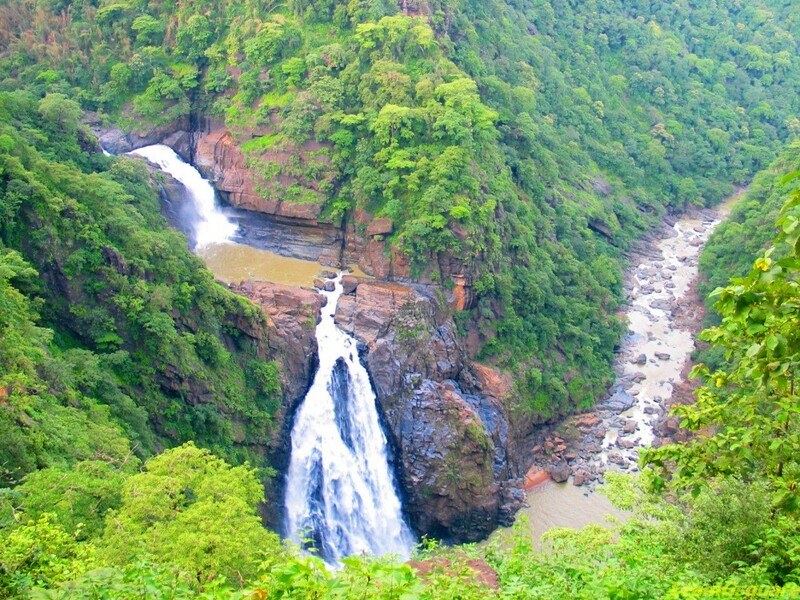 Magod falls: The height of the waterfalls is 200mtrs. This waterfall has to view from View point. There is a nominal entrance fees. 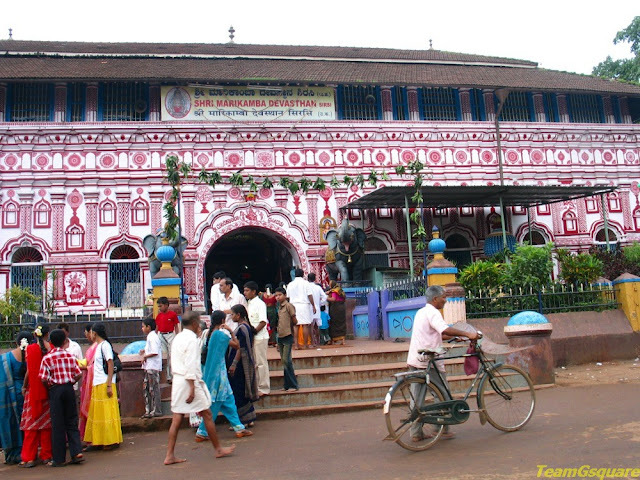 There is one ancient temple nearby called Chandramouli Vinayaka Temple dedicated to lord Ganesha is beautiful Konkan styled temple . Places Visited : Gudavi Bird Sanctuary , Unchalli falls, Sirsi Marikamba temple, Sahasaralinga, Sonda mutt, Shivaganga waterfalls , Sathodi waterfalls , Magod waterfalls Jenukallu Gudda and Lord Ganesha temple. 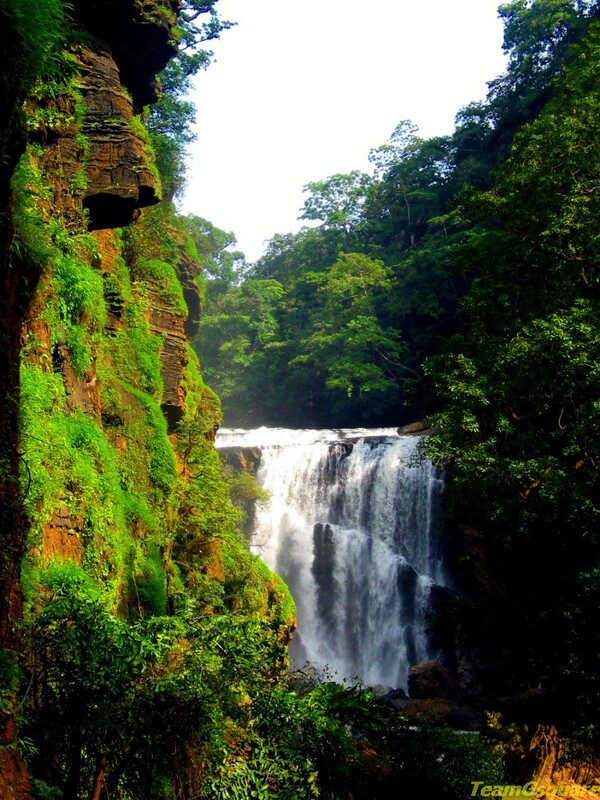 Other places of interest nearby : Yana, Viboothi waterfalls, Banavasi, Bene hole waterfalls, Lalguli waterfalls, Wattahole falls etc. This why we call Uttara Kannada as "Land of waterfalls". Most of these waterfalls are perennial. 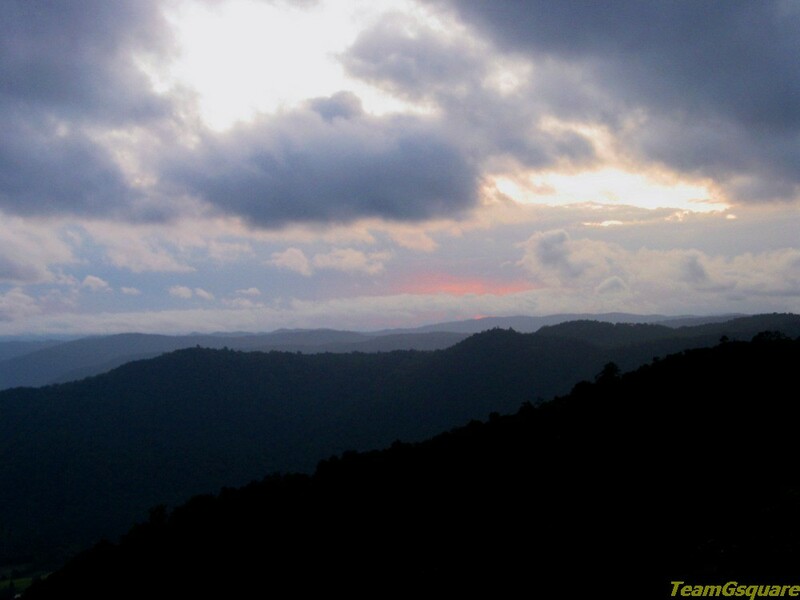 There is considerable amount of trek required to reach the waterfalls but the pains is worth it . must do this circuit once! 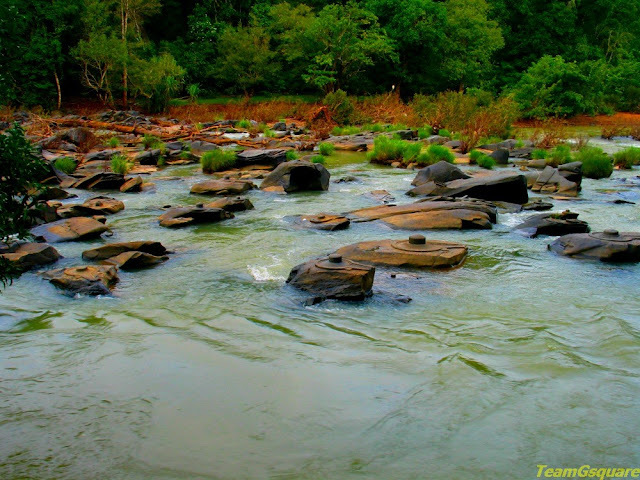 had been to marikamba from sirsi on to jog and karwar but never knew of these gems. yes you should visit these preferably during monsoon . Wonderful place. True beauty of nature. Enjoyed your trip...you mush have had a swell trip! 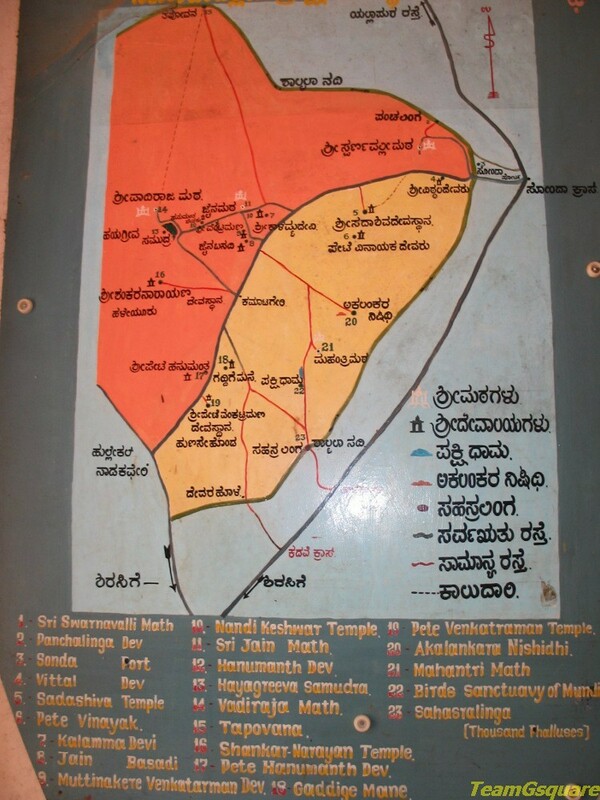 Nice info on N kanara trip, i hope to see the Pepper queens fort post too, which is located somewhere in this vicinity. Great TGS, it is a visual treat. This is for youngsters I believe :) Happy I am able to see these places thru your lens. Yellapur is a town in Uttara Kannada district of Karnataka. It is located in the Western Ghats and famous for Satoddi Falls and Magod Falls. 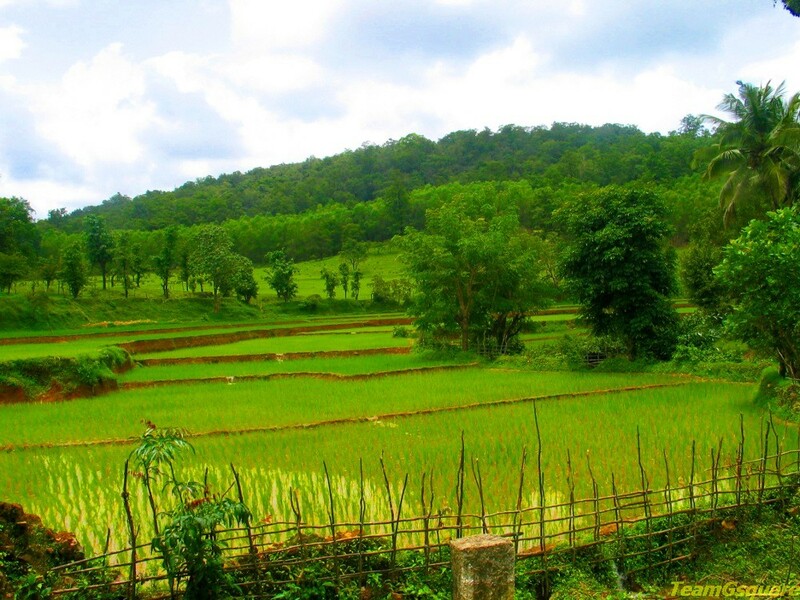 Visitors can check out many places to visit in yellapur. Beautiful pictures are really attractive and the place is so beautiful .